US firm targets international medical cannabis markets with $45M export partnership with first African medical cannabis producer. Rhizo Sciences announces construction of 400,000 square foot export facility in Lesotho, Africa to meet growing international demand for medical cannabis. Even if medical marijuana is now legal in some countries and in specific areas around the world, there are still patients who cannot get access to them because of the difficulty in securing supply. The lack of supply affects not only patients, who cannot get their medicine, but also the local economy and governments that rely on tax income from medical marijuana. Thankfully, supply problems can soon be remedied, thanks to the efforts of companies such as Rhizo Sciences LLC. Rhizo Sciences LLC, a Seattle, Washington based medical cannabis company today announced plans to partner with Medi Kingdom Holdings (Pty) Ltd to build the $45M medical cannabis export facility in Lesotho, Africa. Medi Kingdom Holdings are the first and largest licensed medical cannabis producer in Africa. They began growing their first crop in 2016 and currently operate from 3 sites in the Mountain Kingdom of Lesotho, well known for its high quality cannabis growing environment. The new cGMP certified export facility will include 35,000 m2 (375,000 sf) of secure climate controlled greenhouses and 25,000 square feet of pharmaceutical grade extraction and manufacturing plant and equipment on a 20 hectare site. Under the agreement Rhizo Sciences will design, build and manage the new $45M facility for Medi Kingdom Holdings. Rhizo Sciences will also purchase the entire production output of the facility, which will exceed 35,000 kg of cannabis flower annually. The facility will export wholesale flower and extracts as well as manufacturing pharmaceutical grade products with an estimated wholesale value of $150M to $200M annually. “This new production and processing centre will make Medi Kingdom the largest medical cannabis producer in the Eastern Hemisphere, and enable us to export cannabis flower, oil and products to all legal medicinal cannabis markets including Canada, Germany, UK and Australia” said James Mather, CEO of Medi Kingdom. The new partnership takes advantage from Medi Kingdom’s significant licensed production capacity, cultivation expertise and genetics, and Rhizo Science’s cGMP manufacturing capability and international market access. The project ties into Rhizo Sciences’ strategic vision to develop a global platform for manufacturing and distribution of full spectrum and pharmaceutical grade cannabis products. The Lesotho partnership will ensure Rhizo Sciences can meet rising demand for medical cannabis products in Canada, Australasia, and Europe, and fulfil its manufacturing and sales contracts with pharma/biotech and medical device companies. Development on the new site has already begun and Rhizo Sciences expects to begin exporting refined oil and medical products to Canada, Germany, UK, Australia and New Zealand when the new facility commences production in May 2018. 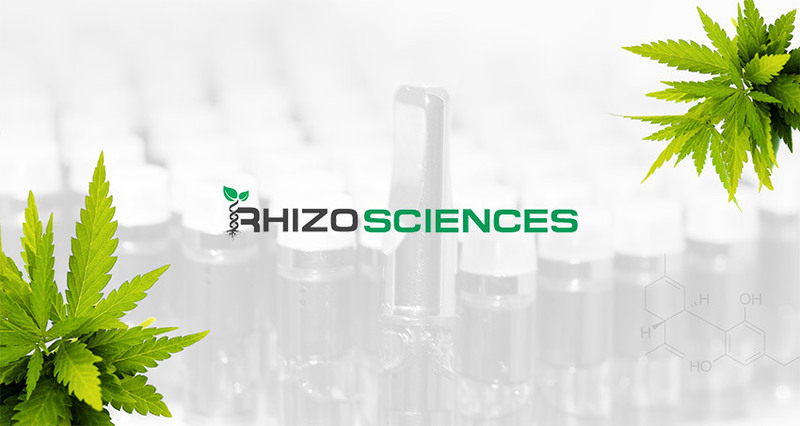 Rhizo Sciences is a Seattle, Washington based privately held cannabis company which invests in, builds and manages cGMP export processing facilities internationally. Their turnkey model allows them to rapidly develop new pharmaceutical grade extraction and manufacturing facilities, even in new markets and developing countries. Their revenue model includes toll processing and contract manufacturing services, as well as manufacturing their own range of pharmaceutical grade oil products. The company has developed a cGMP compliant manufacturing platform allowing it to export value added products to all legal markets. It is replicating a similar strategy in US states including Washington State and California. The firm provides contract manufacturing services and food grade oils and APIs to leading cannabis brands and pharmaceutical manufacturers. Medi Kingdom is Africa’s first and largest licensed medical cannabis producer. Located in Lesotho, a landlocked mountainous country inside South Africa. Lesotho is a major traditional grower of cannabis and has an ideal climate and unique local strains. Medi kingdom is a privately held company with strong ties to the United Kingdom including pharmaceutical and biotech industry partnerships. As well as their commercial cannabis projects in Lesotho, the company operates its own charity Medi Kingdom Foundation which distributes food and medicine in partnership with NGO groups such as Bring Hope Foundation.